While not required to work in the field, graduating from a certified Medical Assistant program can help you be more marketable and competitive.1 Future employers will likely want to hire the highest-quality Medical Assistants for their clinic or medical practice. When you make the decision to go back to school, you might feel a little lost. It can be difficult to know which program or school you should pick. There are a few key factors you should consider before making the investment in a certified Medical Assistant program. 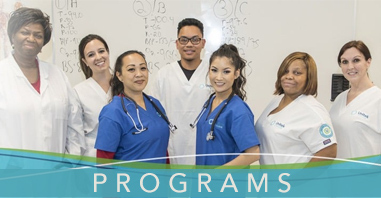 Before enrolling in a Medical Assistant program, it’s important to consider their mission statement and how they deliver educational training to their students. At Unitek College, the curriculum offers a nice blend for students of all different learning styles. Not only does the curriculum equip students with administrative and clinical skills, but they also educate them through a combination of professional lectures, simulation training, and supervised externships. Unitek students enrolled in the MA program will learn about medical terminology, office and exam procedures, basic anatomy and physiology, and so much more. Since a Medical Assistant is often the first person a patient will interact with on the healthcare team, their soft skills are particularly important. The instructors at Unitek recognize how crucial these skills are, and they train their students to ensure that they can excel as future Medical Assistants. One concern on the mind of so many students is whether or not their hard-earned education will translate into a job after graduation. Even if you are the best educated Medical Assistant with years of work experience under your belt, it will be tough to find the right position without knowing how to brand yourself or how to develop a strategy for networking. Additionally, it’s critical that you have a clear understanding of how and where to look for jobs. Unitek College understands this need, which is why students in their Medical Assistant program and all of their programs have equal access to career services. An experienced career coach can provide feedback on the student’s resume, cover letter, and other application materials to increase the likelihood of finding employment after graduation. Now is an exciting time to enter the world of Medical Assisting. Technology is changing how healthcare is delivered and Medical Assistants play an important role. If you are looking for a Medical Assistant program that blends academia with real application, Unitek College might be a great fit for you! Currently, Unitek maintains six campuses in Northern California and one in Southern California. 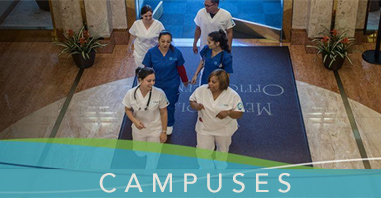 All of these locations offer an efficient Medical Assisting program which can be completed in as little as 9 months. To speak with a representative, please choose your desired campus and find their contact information here. Start a new career with Unitek College, today! 1 Graduates of Unitek College’s Medical Assisting program may be eligible to take various professional certification exams, including the NCCT exam required for the National Certified Medical Assistant (NCMA) credential and the American Medical Technologists (AMT) to earn the Registered Medical Assistant (RMA) credential. Such credentials are not required to graduate, but may be of value depending on a student’s particular career goals. Faculty are available to advise students seeking such professional certifications.